Published on July 9, 2011,	by Jason in K-Lo, Spring Fling. Congratulations to the Kennedy Longfellow Community School for once again hosting a very successful Spring Fling event. 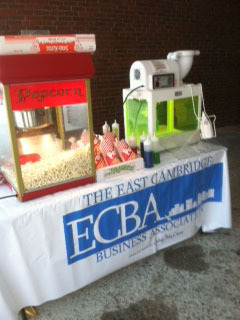 The ECBA had a great presence there as well. Thanks to Bob Salines of Pug’s Bar and Grill for donating his popcorn and snow cone machines once again for the neighborhood event.